In “The Divine Comedy: Heaven, Hell, Purgatory revisited by Contemporary African Artists”, the MMK will serve as a stage for Dante’s Divine Commedy on 4,500 square metres of exhibition space. In this early fourteenth-century epic, which combines central notions of Christianity with religious concepts of antiquity, the Italian poet Dante Alighieri (1265–1321) explores theological, philosophical and moral issues which have lost nothing of their social and political topicality to this day. His work forms the foundation for the exhibition developed by curator Simon Njami in cooperation with the MMK and to be presented subsequently at four further venues worldwide. On three floors, one each devoted to heaven, hell and purgatory, works in a variety of media will be presented: paintings, photographs, sculptures, videos, installations and performances. A large number of the works will be conceived specifically for the MMK interior and premiered by the show. Taking their own widely differing cultural and religious backgrounds as a point of departure, the artists will examine individual thematic sequences of the Divine Comedy. In some cases the otherworldly realms will be visualized as godless places brought to life by the power of imagination; in other works they will be associated with ideas of divinity, hope or loss. 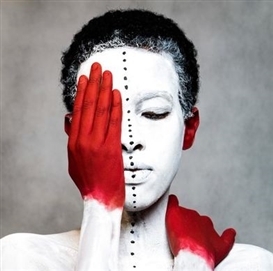 Against the background of the many Africa-related exhibitions of the past years, the MMK perceives the need to investigate the significance of African art not only in the post-colonial context but also with regard to aesthetics. The exhibition will accordingly not be limited to historical or political depictions; on the contrary, it will set its sights on poetry and art as expresive means of conveying and communicating the unspoken. The exhibition concept transports the universal issues of the Divine Comedy, an incunable of European literature, into the present and places them in a transnational contemporary context.